Hanawalt has a long standing tradition of educating the ‘whole child’; recognizing that all areas of learning are of equal importance and children learn in a different ways. Prior to the first Day in the Arts, Hanawalt hosted Iowa Arts Council artists, providing their students with weeklong arts residencies. In 1997, our students learned from community artists during their first school wide Day in the Arts. It was called Expressions, encouraging many ways of expressing thoughts and ideas. This day provided our students with several grade level workshop sessions and one all-school performance/workshop. The format in following years was adjusted to what it is today: three grade level workshop sessions and one all-school performance/workshop. The learning experience is not isolated to this one day, but many hours of extended learning occurs prior to and after the Day in the Arts. Funding comes from our students and parent community through fundraising efforts. It has been supplemented throughout the years with grants through organizations such as VSA Arts Iowa, Iowa Arts Council, and Metro Arts Alliance. Donations from businesses and parents help with the cost of materials and supplies. 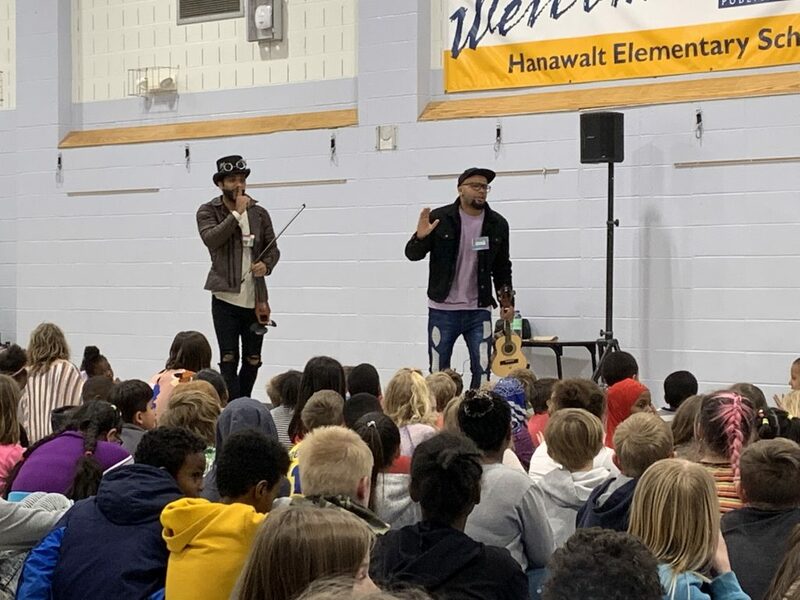 We respect and recognize that for many of our artists, the creating of their art is their livelihood; however, we have found that artists have been very giving of their time and talents to work with our children. This year’s A Day in the Arts included several local artist that included learning about sustainable food, drama activities, using different mediums to create colorful and creative pictures and paintings, storytelling, creative movement, experiencing henna art, digital makerspaces, cartooning, tininkling, Japanese fish prints, mimes, breakdancing, spray art, learning through drumming, and even how to play the harmonica. Each grade level had a different schedule that brought them to 3 diffferent artists. The day was capped off with a learning performance from the Brazilian Twins. Their message brought the idea of how hard work and practice brought them to where they are currently in their lives. 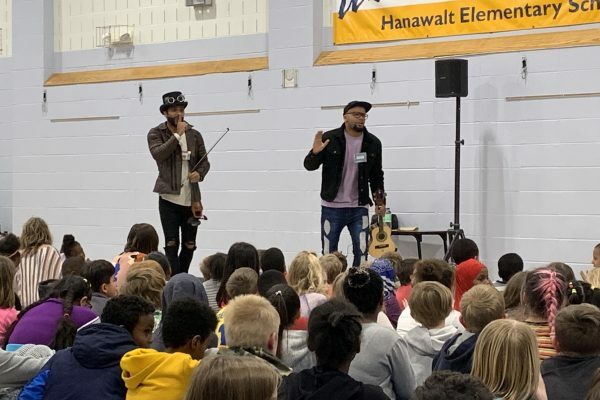 Staff and students enjoyed listening to their story, their improvisation of current songs, and just being able to get on their feet and dance. A great big THANK YOU to all that showed up to present, volunteer, and plan everything that went into this day!